January | 2017 | "Let's Talk, New York!" “Let’s Talk, New York” catching on! 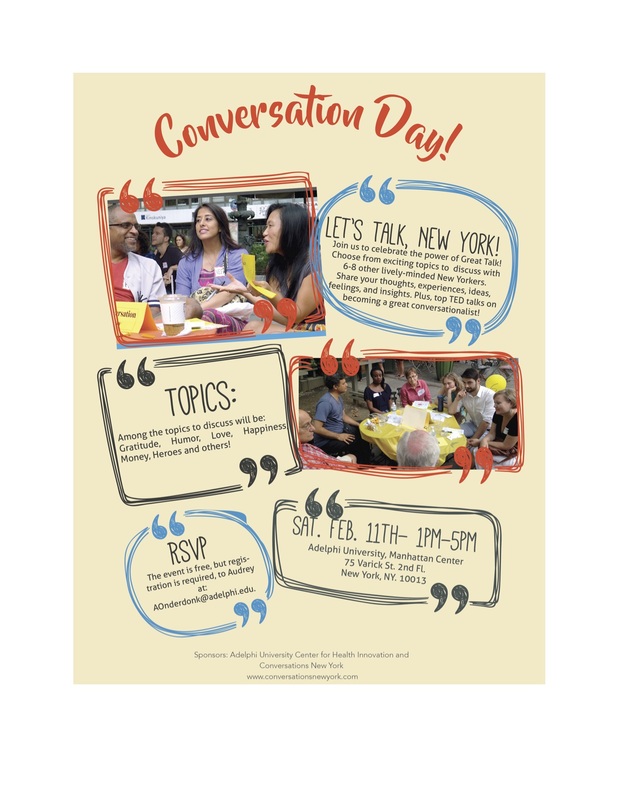 CONVERSATION DAY: Sat., Feb. 11, 1-5 pm, Adelphi University Manhattan Center, 75 Varick St.